The California Legislature wants to expand the scope of people prohibited from owning firearms in the state. On Monday, the Assembly passed AB 1968. The bill would apply to anyone who has been taken into custody and admitted to a facility more than once within a year because they are at risk of harming themselves or others due to a mental illness. Under the bill, anyone falling into this category would be prohibited from from owning a firearm in California "for the remainder of his or her life." However, they would be able to file an appeal to the ruling every five years. A second measure, AB 3129, would prohibit people convicted of certain domestic violence misdemeanors from ever possessing a gun. "Half of all female homicide victims are killed by intimate partners," said the bill's author, Assemblywoman Blanca Rubio (D-Baldwin Park). "We must do more to ensure the safety of our survivors of domestic violence." 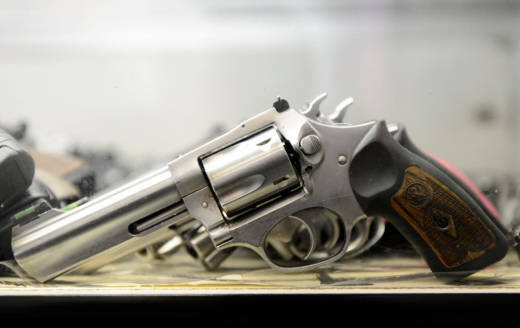 A third firearm bill — AB 2103 — would require at least eight hours of training for those applying for concealed carry weapons permits. Applicants would also have to participate in live-fire shooting exercises on a firing range to show they know how to handle their gun. Assemblyman Todd Gloria (D-San Diego) authored that bill. "If you want to have a loaded gun in public, you need to show that you know what you're doing," he said. All three bills now head to the governor’s desk. Another measure passed by the Assembly, SB 221, would ban gun shows at the state-owned Cow Palace in Daly City. Assemblyman Phil Ting (D-San Francisco) said neighbors around the exhibit hall support the measure. Several previous efforts to block or further regulate the shows have failed repeatedly. Critics maintain a ban would eliminate a place to legally buy firearms and cut into the Cow Palace’s revenue. That bill now goes to the Senate for a final vote.